Knysna has a lot of undiscovered talent and this workshop has brought these youths face to face with the industry they want to enter. 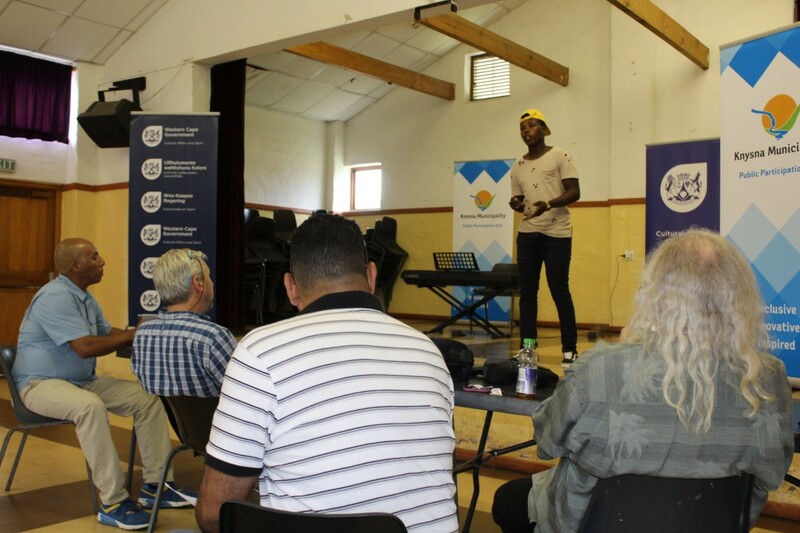 KNYSNA NEWS - On 16 November the Department of Cultural Affairs and Sport (DCAS) in collaboration with the Knysna Municipality held a Songwriting Competition which, on 17 November, was followed by a workshop presented and facilitated by music industry professionals. 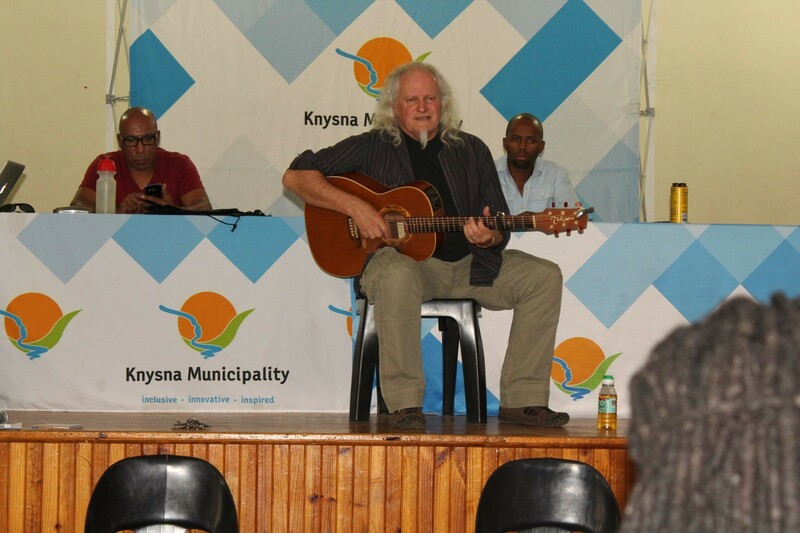 On 16 November many hopeful musicians, composers and artists from all over the Greater Knysna area gathered at the Rheenendal Community Centre, just outside Knysna, for the much anticipated auditions. The day was filled by many performances from singing to rapping to music beats being played for the auditioning phase of the event. Knysna truly displayed a great reservoir of talent waiting to be discovered. The artists who showed commitment and drive were selected and invited to attend the industry-centred workshop the following day. The workshop was presented by various music industry professionals. Martin Myers, founder & CEO of Music Exchange NPC and co-owner of Triple M Entertainment; Selwyn Bartlett, Good Hope FM on air personality and director & principal consultant of Selcorp Media & Entertainment; Craig Parks, member & director of Par Kan Entertainment; Tony Cox, three-time SAMA winning musician and Sakhele Mzalazala, managing member at The Station ZA & manager at Koloni Musik. The music industry veterans used the day of training and facilitation to instil as much knowledge as they possibly could into the next generation. The topics they covered ranged from the music production process to the branding of musical products and songs. Possibilities of employment in the music industry was discussed, as well as working relationships in terms of collaborations. Day 1- Rheenendal Community Centre Welcome and introduction. From Left, Mr. Tony Cox, Mr Selwyn Bartlett, Mr. Martin Myers and Mr. Craig Parks engaging the young musicians, composers and artists. Heavier subjects such as copyrighting music and lyrics was discussed, and SAMRO services and registration processes were defined. Legal matters were discussed in terms of music usage and royalties as well, to mention but a few aspects. It was an eye-opening experience for the aspiring young musicians and artists to get first-hand advice from professionals who have tried and tested the way before them. The knowledge shared is priceless and the utilization thereof is invaluable. Knysna has a lot of undiscovered talent and this workshop has brought these youths face to face with the industry they want to enter. For many the fairy tale dream was shaken by the reality of hard work and perseverance, related to them by the facilitators, while others took the information as affirmations of their road to musical success. A young Rap Artist, from Rheenendal auditions, before the panel of Music Industry Professionals. We can be sure that this was an amazing opportunity for the youth to tap into reservoirs of professional knowledge and experience from veterans who have gone before. 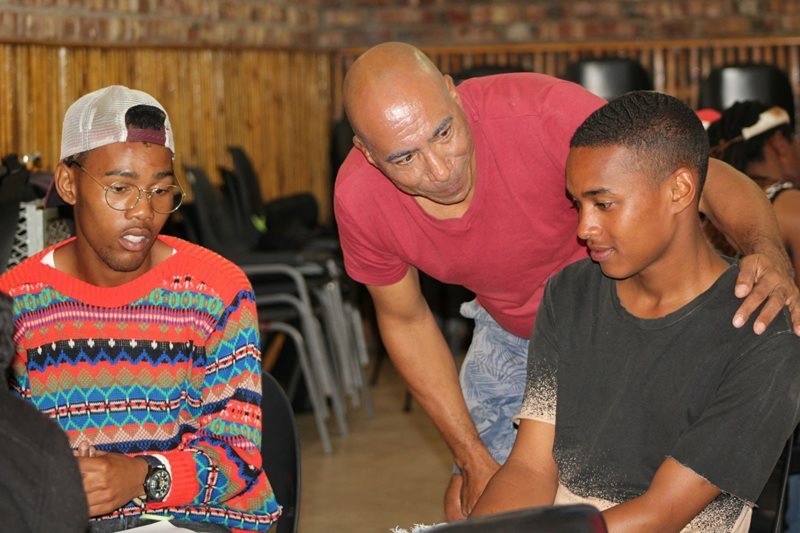 Right now, the future of Knysna’s musical talent is looking much brighter after these two days of creative engagement. 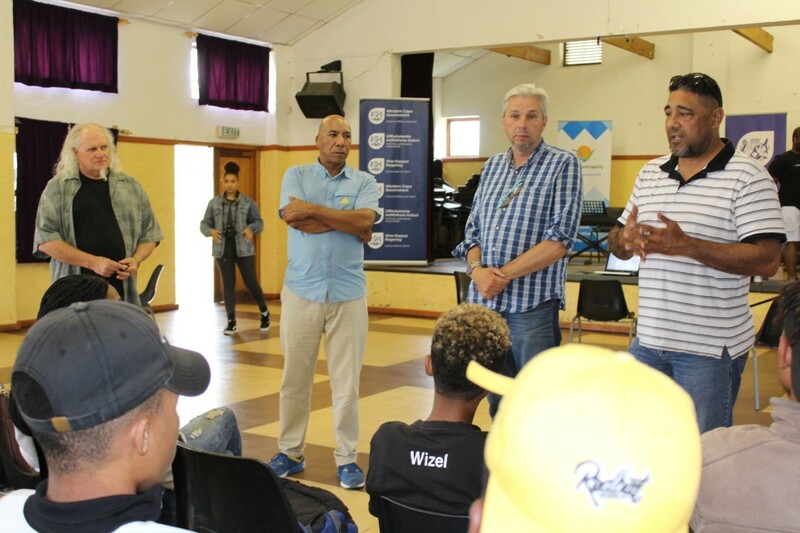 A special thanks to DCAS, Knysna Municipality, Martin Myers, Selwyn Bartlett, Craig Parks, Tony Cox and Sakhele Mzalazala for making this event possible. Tony Cox plays for the youths.